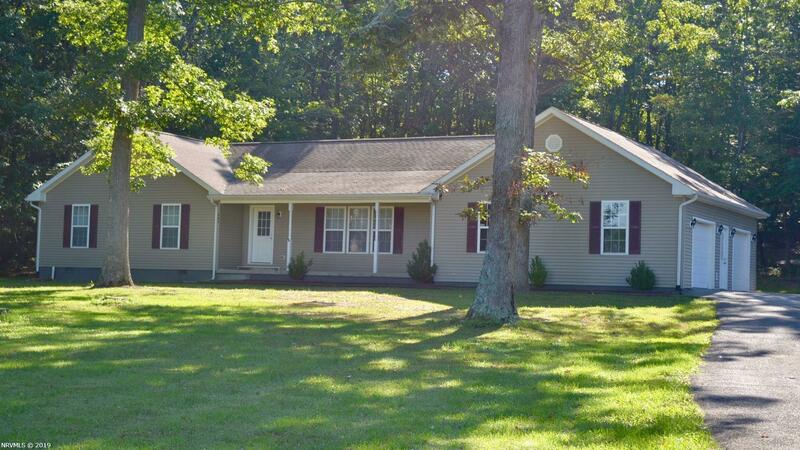 If you want one-level living in the country but just minutes to Wytheville, here it is! This 2006 ranch has everything you could want: Open floor plan for the living room, dining room, and kitchen, three bedrooms with two full baths, oversized two-car garage w/overhead storage, paved drive, one-acre lot, wooded back yard, mature trees in the front yard, brand new brick patio, and Trane heat pump. The entire house has been painted and fixtures have been updated. The owners have had the HVAC serviced, the foundation sealed, and the septic cleaned and inspected. It&apos;s move in ready-just waiting for you. Take a look at the photos and schedule your appointment today! Directions: I-81s, Exit 70 Then S On 4th Street. Turn R On Calhoun And Then L Onto 6th. Cross Rr Tracks And Road Becomes Reed Creek Mill Road. Cross Reed Creek And Then R Onto Barrett Mill Road. Continue To 648 Barrett Mill Road On L. See Sign.